The Facebook-owned photo-video sharing network adds two new features in its latest update. It brings out disappearing photos for Direct Messages and live video broadcasting in your Instagram stories. In Instagram direct you can share disappearing photos and videos with friends and groups. This feature has been rolled out on November 21, 2016. DM users have been increased from 80 million to 300 million active users in a year. How to create disappearing photos and videos? You can send anything from your worst pictures to inside jokes as it will disappear from the inbox of your friends after they have seen it. And you will also be notified if they took a screenshot or replayed it. You can send these to only those who follow you. Go to DM (Direct Messages) by swiping left or by tapping paper airplane icon present at the top right corner of feed. Disappearing photos and videos will be visible in a bar at the top. Tap on the ones with blue rings and you will be able to watch what your friends have sent you. In group, everyone’s responses can be seen in a slideshow format. Tap the faded profile photo to respond quickly. Live video-streaming feature in explore section will be available to all the users globally in upcoming weeks. Swipe right to open the camera. Tap on ‘Start Live Video’ button. Lets you share a video of 1 hour or less. Your friends will be notified when you go live. You will able to pin a comment so that your friends can tune in while you are live. 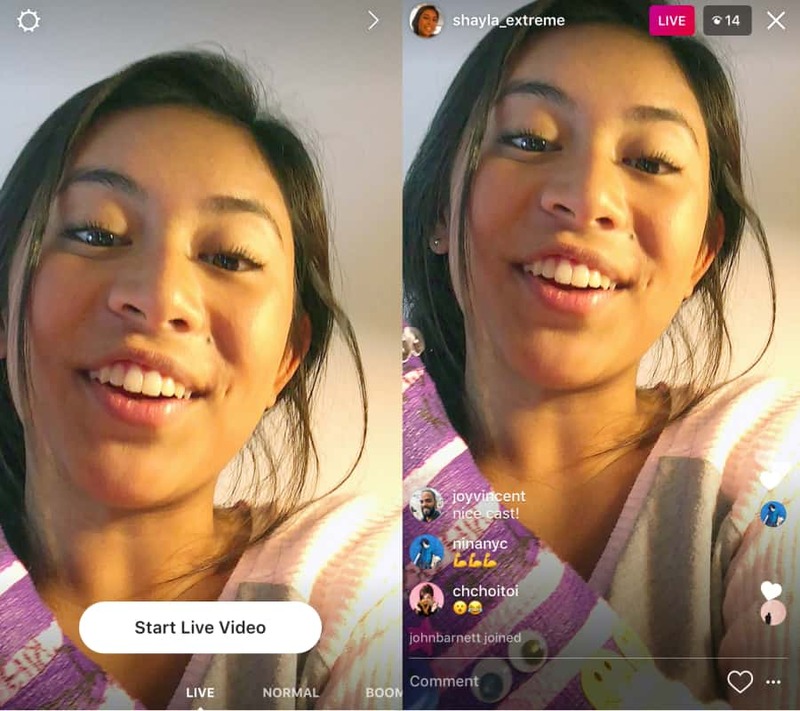 Whenever anyone you follow starts video streaming then ‘Live’ will appear under their profile photo in stories bar. In order to see all the current stories happening at that moment, tap ‘top live’ to see all the exciting live stories. The new update on Instagram seems to be a good move to win out more audience.